– Hey kids, what are you doing on June 13-16 of next year? No plans? 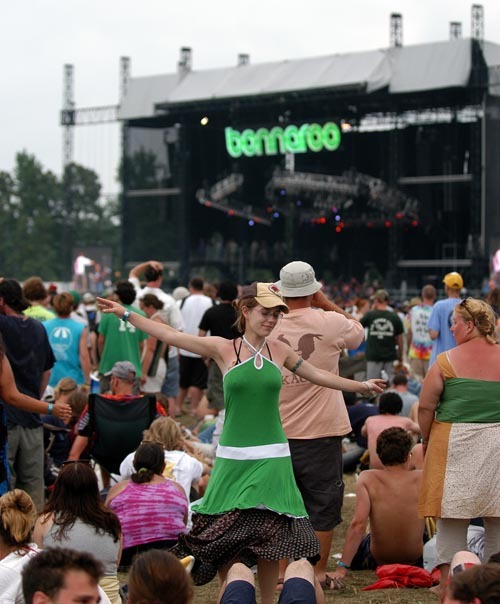 Good – save the date for Bonnaroo. Pre-sale info wont be announced until November and the lineup not until February, but at least you can watch this weird video with a dog. – It’s official: new venue the Stone Fox is finally opening, with a debut show on 9.24 w/ Sao Paulo Underground and Courtney Tidwell. The Facebook invite is here, and Nashville Cream’s got the scoop. P.S., a Blues Control gig was originally planned for the venue, but it’s been moved to Dinos. See you on opening night. – The East-Centric music festival is this weekend. – Tonight’s Americana Music Awards and Honors will air on Sirius Outlaw Country and NPR, if you want to tune in.